This stunning variety of Poppy, aptly named "Danish Flag" displays gorgeous 3 inch flowers atop skinny, furry stems that grow anywhere between 12 and 30 inches tall. The plants foliage is fairly attractive, as most Poppies are, boasting beautiful red and white colored flowers through the summer months. Because Danish Flag Poppies are grown as annual flowering plants, they will grow quickly from seeds sown in the spring time, only to flower for a short while and later die with the first killing frost. 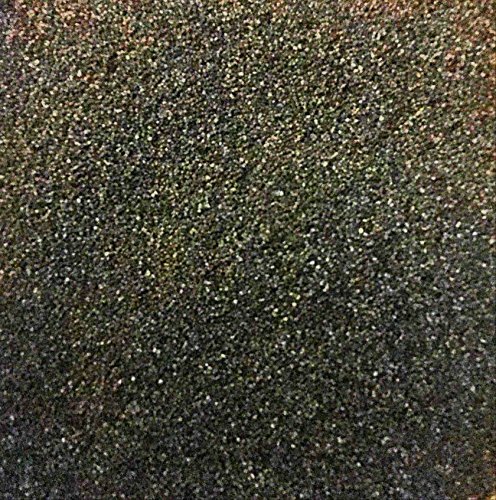 Poppy seeds are known to drop to the bare ground beneath the plants however, allowing them to return yearly. 1 Ounce Papaver Somniferum Poppy Seeds. Perfect for planting with an abundant germination rate. Also excellent for use in DIY cosmetics and body washes with their sublime exfoliating properties. 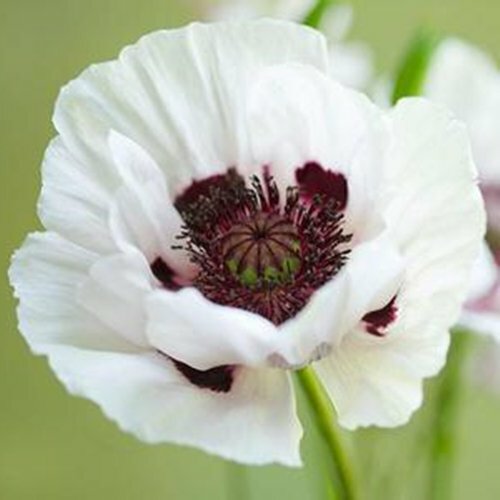 Grow a garden filled with beautiful Somniferum Poppy flowers, from freshly harvested Papaver somniferum seeds. This mixture of Somniferum Poppy flowers will produce bright colored, paper like blooms, in various shades of pink, red and violet. Somniferum Poppy plants will reach a mature height of roughly 24 to 36 inches tall and spread about 10 to 12 inches wide. Like most Poppies, these Somniferum Poppy flowers look best when sown by the masses. They can be scattered directly out in the garden, along borders, walkways, in flower beds, or in a naturalized setting or field. Once they are established they don't require much maintenance. 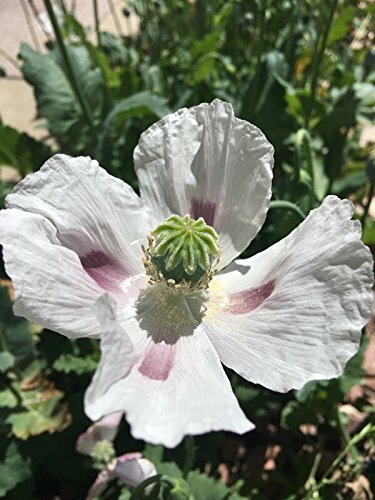 Categorized as an annual flowering plant, the Somniferum Poppy will grow quickly from flower seeds, bloom profusely for a few short weeks and will later die with the first killing frost. When the blooms are spent and wilt away, attractive poppy pods are left behind. The seeds can fall to the bare ground beneath to establish new plants the following growing season. Harvest the largest pods, and save the seeds for the next planting. Poppies are self-seeding and should reseed themselves once pods burst open. An established poppy garden is likely to produce a biannual showing with little maintenance. 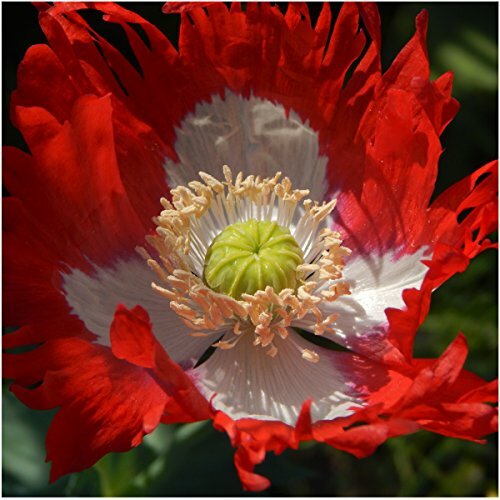 250 Papaver Somniferum Giganteum Poppy Seeds By Earthcare Seeds. 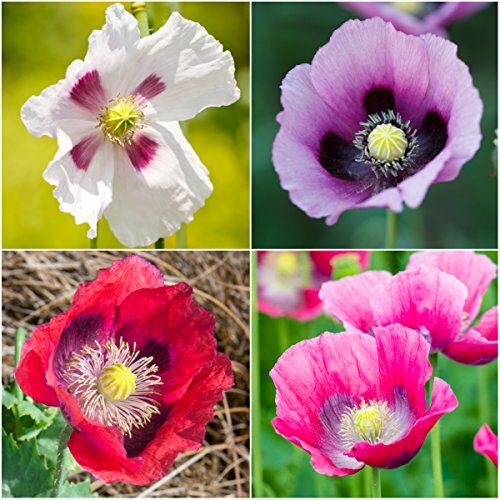 Papaver s. giganteum: Beautiful blooms up to 6 inches wide in colors ranging from white, purple, and pink. The pods are the largest of all the poppy varieties and are great for flower arranging. Cold hardy, easy to grow, and self seeding. Germinates in temperatures around 60 degrees F, and tolerate most soils well. Sow in spring or fall onto finely raked soil with large stones removed. Lightly cover, and keep damp (not wet) until germination. Planting instructions are included on the seed envelope. Seeds are stored in environmental conditions that promote seed life (Dark/Dry/Cool). Plant with confidence! Photo courtesy of Hugh Chevallier. 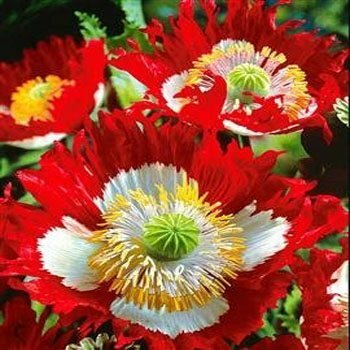 Papaver somniferum is known as Danish Flag Poppy, and it is a favorite red and white annual that has feathery edges and a resemblance to Denmark's national flag. It reaches 24 - 36 inches in height and produces large, showy blooms that measure 5 inches across. Danish Flag Poppies look especially impressive when planted in mass groupings. Sometimes these poppies are also known as Breadseed Poppy or Florist Poppy, and as the petals fall the seed pod that is left adds visual interest in both the garden and in arrangements. Start the seed directly outdoors after frost danger has passed. Lightly cover the seed with 1/16 inch of soil and keep it moist. At a temperature of 60F, germination usually occurs within 14 days. Space the plants 12 - 18 inches apart. 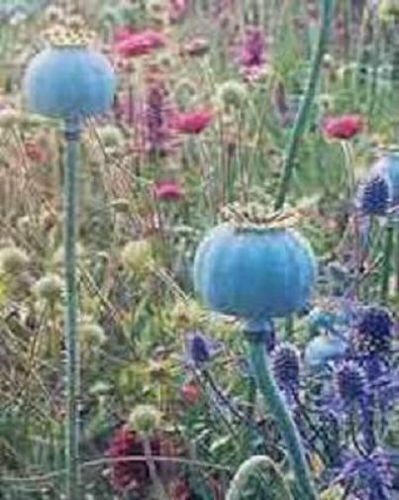 Australian Purple Papaver Somniferum Poppy Seeds have a high germination rate, are all natural and organic. Very popular seeds with gardeners who wish to cultivate this showy plant that has been grown for centuries. 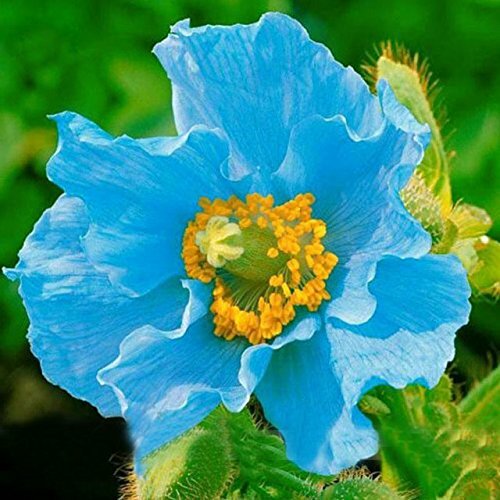 These seeds are the authentic papaver somniferum poppy plant seeds. Makers of organic beauty products find these seeds to be beneficial in their products for their superior exfoliating properties. 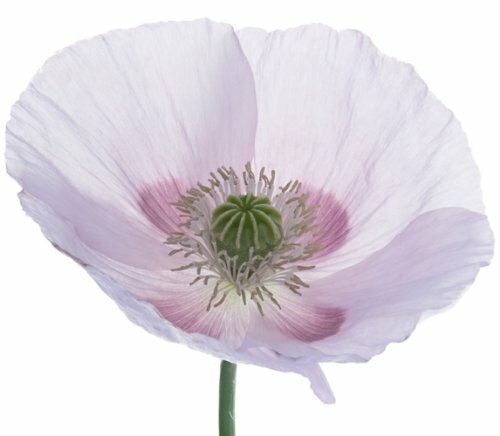 Compare prices on Papaver Somniferum Poppy at ShopPlanetUp.com – use promo codes and coupons for best offers and deals. We work hard to get you amazing deals and collect all available offers online and represent it in one place for the customers. Now our visitors can leverage benefits of big brands and heavy discounts available for that day and for famous brands.